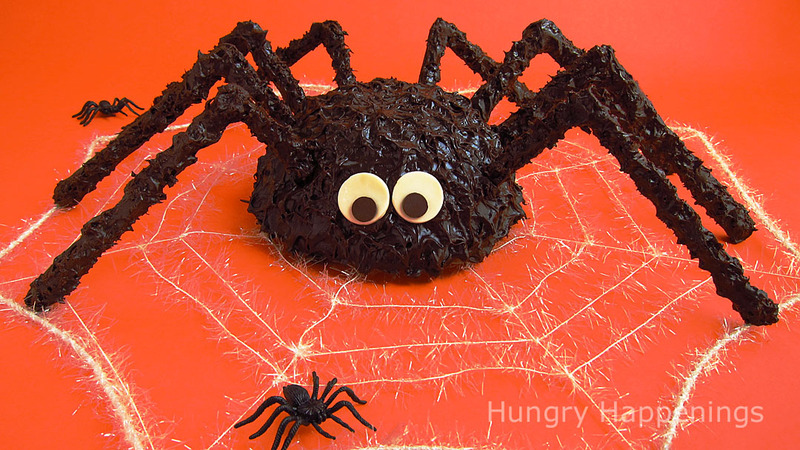 Hungry Halloween: This giant spider is hoping to crawl up onto your buffet table this Halloween. This giant spider is hoping to crawl up onto your buffet table this Halloween. Head over to Hungry Happenings for another addition to the Carnival of the Creepy Crawlers recipes. Click here to see the full recipe and tutorial for this super sized cake ball spider.